Due to a significant number of incorrect and misleading statements regarding non-existent community consultation and a severely inadequate community consultation program, the Casuarina Wellard Progress Association (CWPA) have independently consulted with the community they represent, from August 2018 to October 2018. This is representative of the many residents who will be directly impacted if this environmental disaster goes ahead. 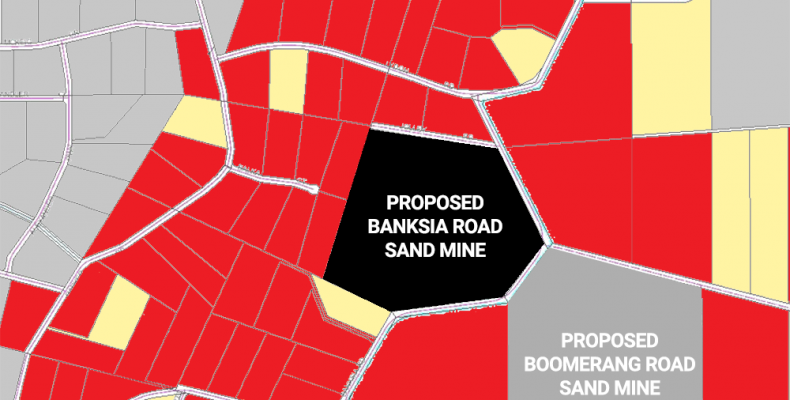 Relating to the proposed Banksia Road sand mine, the CWPA can confirm from all residents who have been able to be contacted within the 500 metre recommended buffer zone, none have received any form of engagement by Hanson (or Rocla), not even those whose properties are situated directly beside the proposed sand mine! Just how bad is the situation? 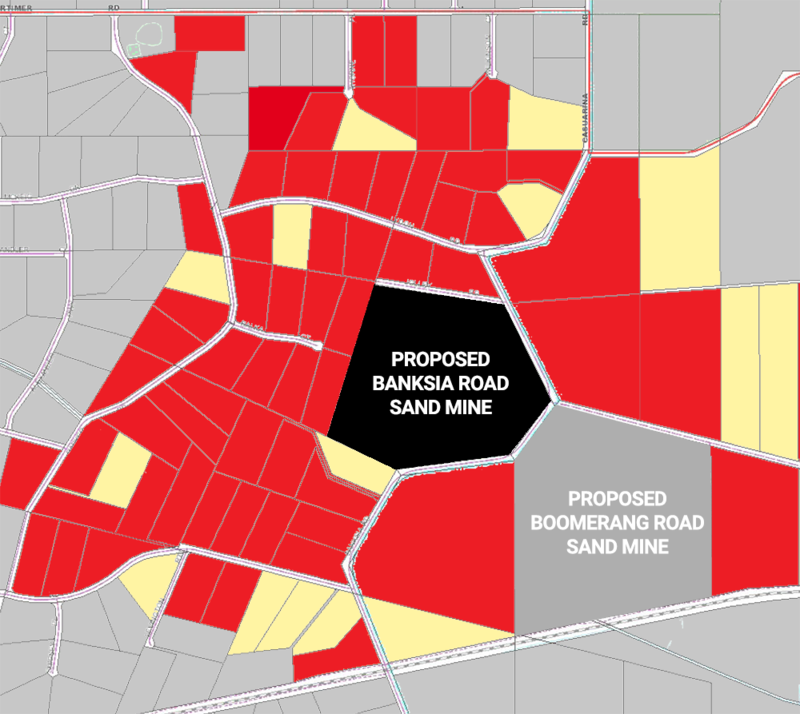 Hanson have repeatedly stated their consultation has been “extensive” and the Department of Mines and Petroleum (DMP) blindly approved documentation on this basis. An article in the Sound Telegraph as recent as October 17 2018 stated “The company has committed to a sustained community consultation process to ensure that there is no significant impact on local residents”. There are significant impacts to local residents. Community consultation cannot occur retrospectively; decisions have been made, documents have been reviewed, and approvals have been granted without the community’s involvement. The documentation, including associated reviews and approvals must be withdrawn and the process started from the beginning. It is of our firm belief that the use of current data and factual information, thorough detailed analysis of the proposed sites and surroundings, would have resulted in an outright rejection of the proposal. The mining proposal must contain a summary of the stakeholders that have been consulted and the outcomes of consultation (issues, resolutions etc.) In some cases, a copy of the mining proposal should be provided to appropriate stakeholders. The mining proposal does not contain a summary of the stakeholders that have been consulted. Furthermore, there are no outcomes of consultation (issues, resolutions etc.) that are raised or addressed in the Sand Mining Proposal and Mine Closure Plan, there could never be, as we have never been consulted! Based on the CWPAs own consultative efforts, it is clear the highlighted statement is incorrect. 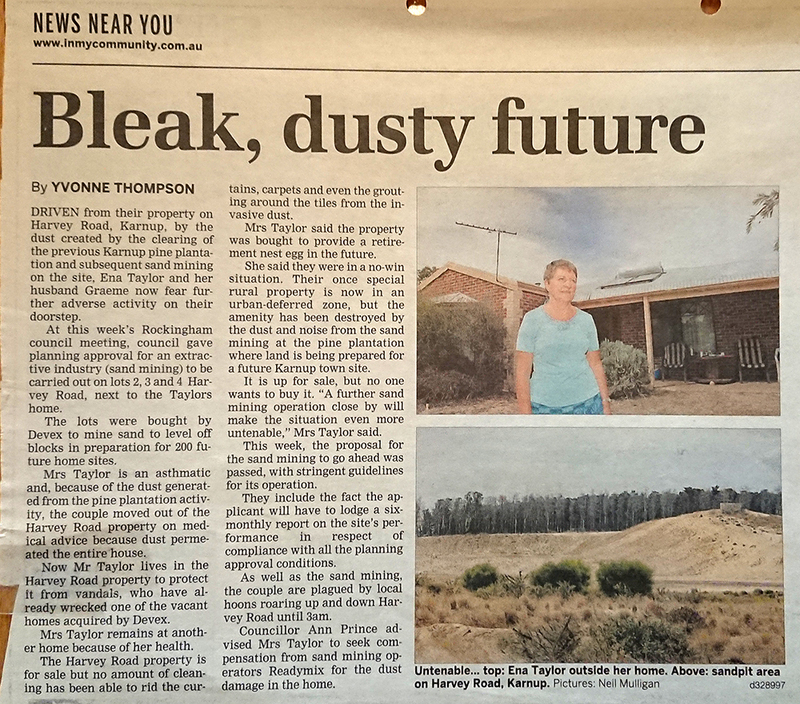 This is a significant issue as this represents the DMPs incorrect understanding at the time of approvals. There has been disregard to the requirements of mining approvals and inclusion of incorrect information in the submitted proposal. The CWPA has recently met with Ministers and provided evidence to prove non-existent community consultation. The community has been kept in the dark.